Chicago's No I.D. is known for producing some of hip-hop's biggest records, Jay-Z's "D.O.A. (Death Of Auto-tune)," Kanye West's "Heartless," and the Common's classic "I Used To Love Her." But his repertoire is about to expand. No I.D. is finishing up working on his first major rock collaboration. He teamed up with Richard Ashcroft, the frontman of the English band The Verve, to produce his entire upcoming fourth solo album. The album is not a traditional rock record. "It's like a gumbo fusion, it's stuff on there like the Blues," NO I.D. told Yahoo! Music. "There is a little more aggressive drums than your average rock album. It is coming out in April." Working with Ashcroft gave NO I.D. an opportunity to explore ideas he was not able to produce with rappers. "There were melodies that a rapper can't translate into a great song, but maybe a rock perspective teaches you melodies that you don't consider." They made nearly 30 songs and narrowed them down to 12 to 14. NO I.D., who has also worked with Janet, Alicia Keys, and Usher, describes his music with Ashcroft as some of his best work. Ashcroft, a fan of Jay-Z's "D.O.A.," contacted NO I.D. after seeing an interview with the producer explaining that artists sometimes ruin albums by focusing on sales. NO I.D. scheduled a writing session with Ashcroft and the session extended to three days. Though NO I.D. 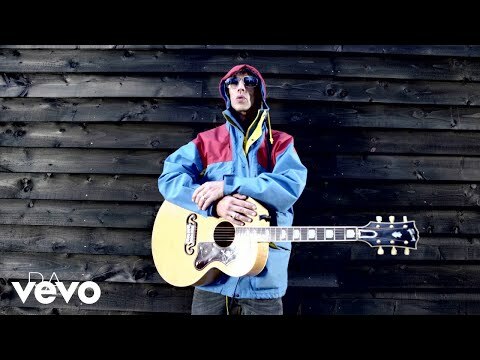 was surprised to get the call from Ashcroft, he has always experimented producing different styles of music. There are actually heavy rock overtones on "D.O.A." and another of his Jay-Z tracks, "We Run This." Teaming with Ashcroft sounds like a good idea. Both artist and producer create introspective songs with thematic elements. Last year, hip-hop producer Timbaland linked with Soundgarden lead singer Chris Cornell to produce Cornell's well-received Scream. Representatives for Ashcroft's label did not immediately respond to confirm album title and release date.